Home / غير مصنف / Christopher Eccleston says WHICH movie made him want to 'cut my throat'? Christopher Eccleston says WHICH movie made him want to 'cut my throat'? Actor do like to be dramatic. It goes with the job description, but it's rare that anyone comes close to Daniel Craig's melodrama when he declared he would rather "slit my wrists" than make another James Bond movie after SPECTRE. Clearly, he didn't stick to his word, but now fellow Brit thespian Eccleston has gone one better and revealed which two movies drove him to similar despair. Not content with blasting one "horrendous" experience as making him want to "cut my throat every day" he also says another blockbuster made him want put "a gun in my mouth." It should come as no surprise that actors take certain jobs out of financial rather than artistic motivation. It still seems a little ungrateful to then blast those same well-paid, if rather demeaning, roles. Eccleston said: "Working on something like G.I. Joe was horrendous. I just wanted to cut my throat every day. "And Thor (The Dark World)? Just a gun in my mouth." 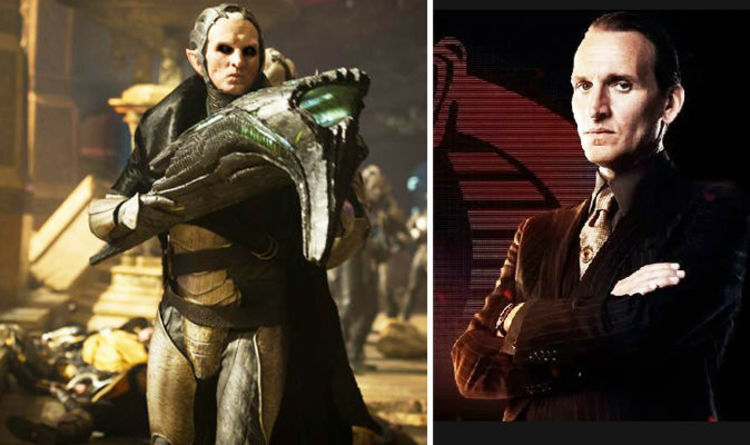 Eccleston played the main villain, Dark Elf Malkeith in Thor: The Dark World, opposite Chris Hemsworth and Sir Anthony Hopkins. The movie was a huge box office hit. Granted, the star's costume and prosthetics were a tad undignified, but it is hardly a terrible stain on his career. GI Joe: Rise of the Cobra was a far greater box office and critical flop. Ecclestone added: "GI Joe and Thor were... I really paid for being a whore those times." Sounds more like he was simply well paid. The most shocking part of his recent interview in The GUardian, was his anger over the way he believes he was "blacklisted" by the BBC after he quit as Doctor Who. The actor's tenure as the Time Lord, alongside Billie Piper, rebooted the classic show for a new generation and broadened its appeal at home and internationally. Eccleston said: “What happened around Doctor Who almost destroyed my career. I gave them a hit show and I left with dignity and then they put me on a blacklist.